CHINESE horror films are not known for being particularly terrifying, but in a new release out tomorrow, director Gordon Chan pushes the boundaries. The spooky thing is, it's a love story, writes Xu Wei. In the absence of a movie rating system, Chinese movie buffs generally have mixed feelings about domestic horror films. Perhaps it's because most scary films in China have failed to create a really bone-chilling atmosphere in cinemas. Maybe that has something to do with the fact that parents take their children to see these shows, resulting in excessive elements of the supernatural and horror being watered down by movie makers. In that sense, shooting the costume thriller "Painted Skin" certainly presented a tough challenge for Hong Kong director Gordon Chan. The US$15 million budgeted film starring Hong Kong action idol Donnie Yen, mainland heartthrob Chen Kun and actresses Zhou Xun, Sun Li and Vicki Zhao is set for release tomorrow throughout China, Singapore, Malaysia and Thailand. "This film is not made specifically for the sole purpose of terror," says Chan, known for police films like "Beast Cops" and "The Medallion." "Instead, you will find more tears than fears." Chan's aim was to lead the audience through a tragic yet beautiful love story set in ancient China, a story based on a popular ghost tale by Qing Dynasty (1644-1911) writer Pu Songling. Pu is famous for his novel "Liaozhai Zhiyi," ("Strange Tales from a Chinese Studio"), a Qing-era collection of supernatural stories. One of them, "Painted Skin," centers on a vampire-like woman who eats the skin and hearts of humans. Zhou plays the fox demon in painted human skin trying to eat humans. 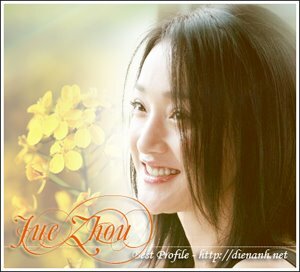 However, she falls in love with General Wang Sheng (Chen). Wang's wife (Zhao) then resorts to ghost-catchers to save her husband.